Corrosion-resistant, 14" steel wheel features a 5 on 4-1/2 bolt pattern and meets Department of Transportation standards. Lowest Prices for the best tires and wheels from Americana. 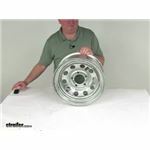 Steel Mini Mod Trailer Wheel - 14" x 6" Rim - 5 on 4-1/2 - Galvanized Finish part number AM20364 can be ordered online at etrailer.com or call 800-298-8924 for expert service. Corrosion-resistant, 14" steel wheel features a 5 on 4-1/2 bolt pattern and meets Department of Transportation standards. 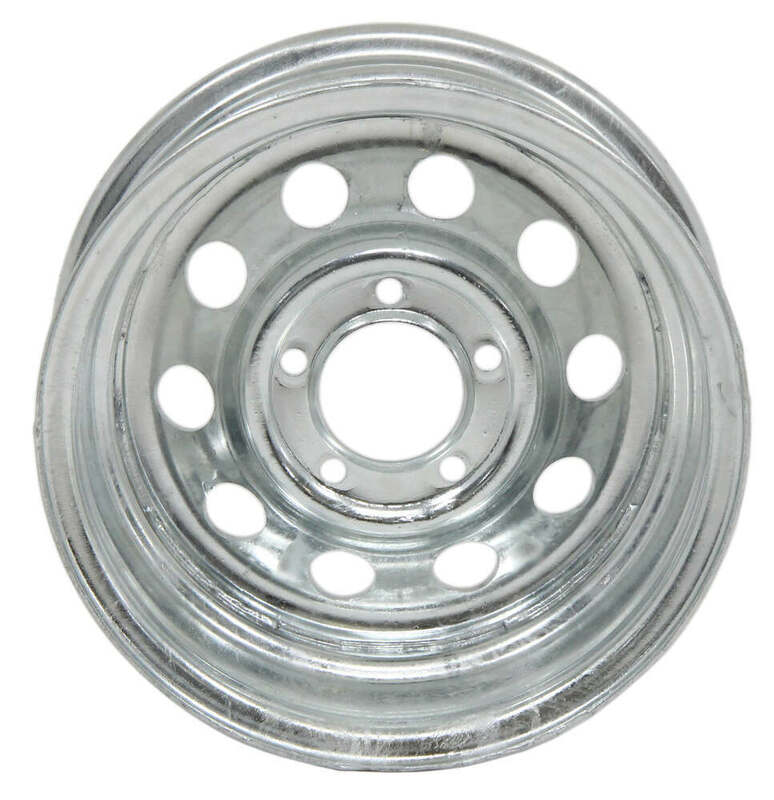 20364 Modular Galvanized Wheel - 14"
This 14" x 6" steel trailer wheel has a 5 on 4-1/2 bolt pattern and a 3.27" pilot diameter. Improved torque retention keeps wheel secure when mounted on your axle. Rust-resistant, 3-step powder coat finish. Valve stem is included. 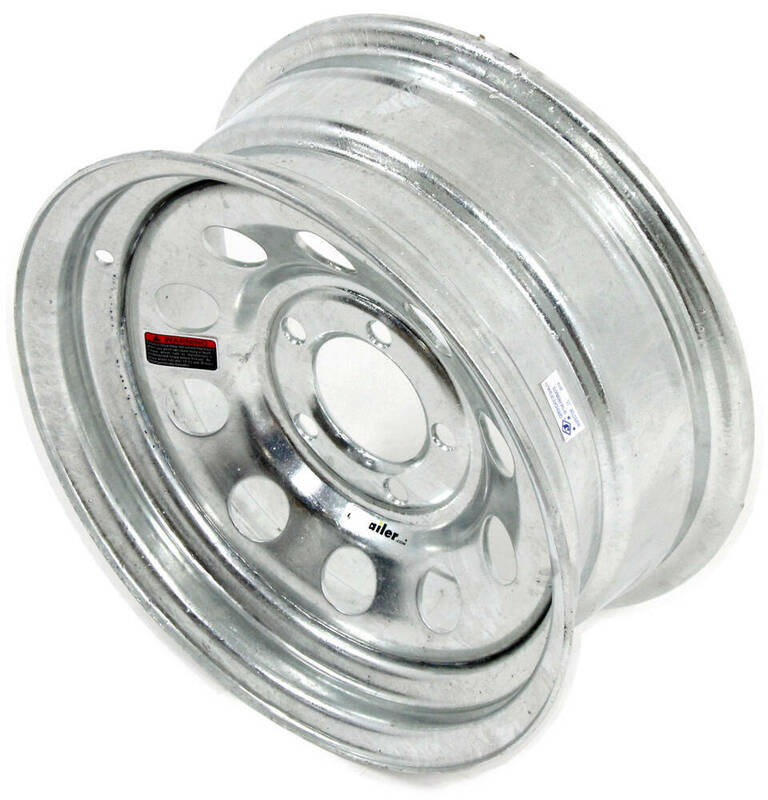 This 14" x 5-1/2" trailer wheel has 5 on 4-1/2 bolt pattern and a 3.19" pilot diameter. The rustproof aluminum wheel features a 7-spoke design in silver. Order: RelevanceNewestRating - High to LowRating - Low to High Corrosion-resistant, 14" steel wheel features a 5 on 4-1/2 bolt pattern and meets Department of Transportation standards. Best option we have would be a Load Range D tire size 215/75R14 like the part # TTWTRTM2157514D with a gavanized wheel like one of the following: # AM20354 # AM20364 We don't have anything premounted so this would be only way we could get you the two things you mentioned. Unless you'd be okay with a silver powdercoated wheel and tire # A21514RTM45SM. On the tire and wheel combo # A21514RTM45SM the rim is rated for 1,870 pounds and the tire is rated for 2,200 pounds. So the rim will determine the overall capacity since it's the lowest rated component. The Dexstar # AM20363 and the Americana # AM20364 are both mini mod steel wheels that are similar to what's included in the wheel and tire combo. They're both rated up to 2,040 pounds so they'll be closer. Then for the same Provider tire use # TTWTRTM2157514D. 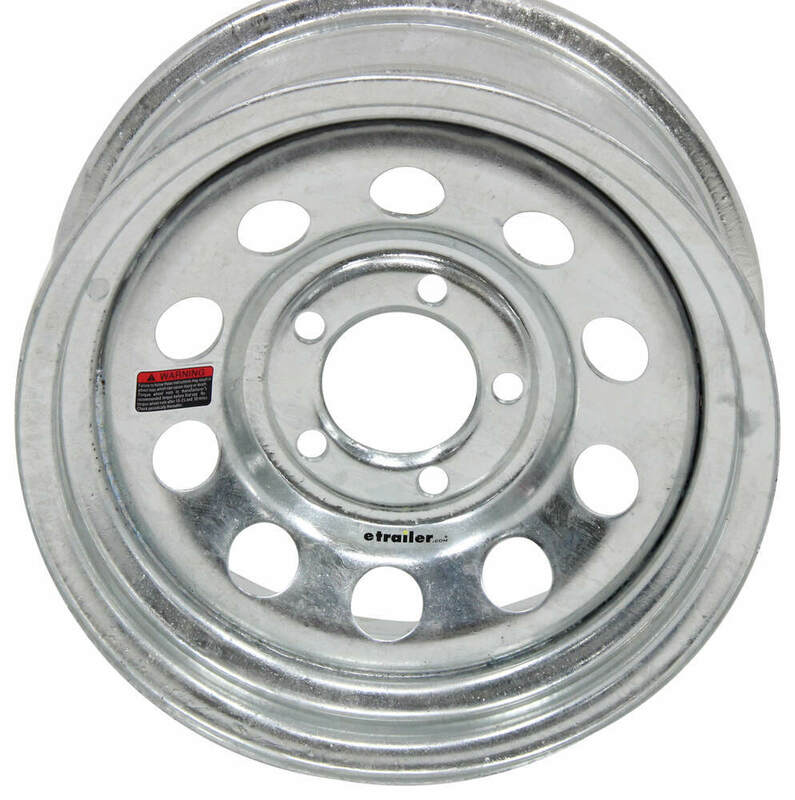 Americana 14 x 6 Steel Mini Mod Trailer Wheel # AM20364 does have backspacing of 4-inches from the rear hub mounting surface to the inside edge of the rim nearest to the trailer. I measured this item in our warehouse to confirm this dimension. We have one trailer wheel in the 14-inch size with the 4-on-9.44-inch wheel bolt pattern, Dexter part # AM20312. 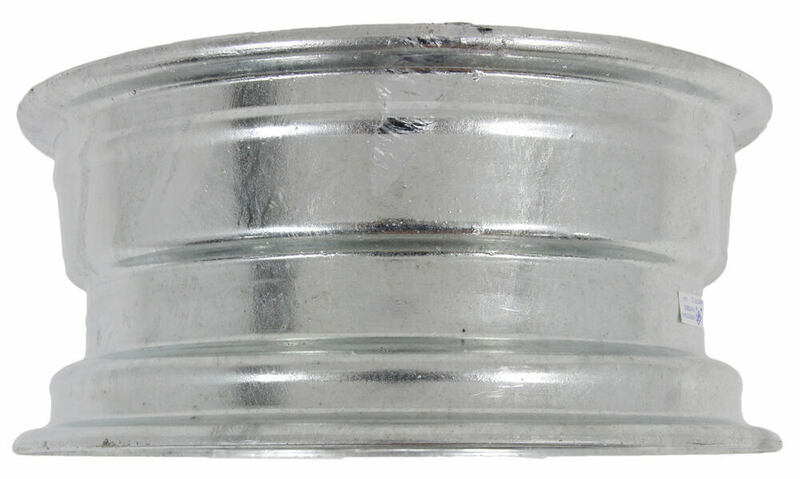 This vintage-style wheel has a 5-1/2-inch width and a positive offset of 5mm or 1/2-inch. Positive offset means the center of the tire tread surface will be that much closer to the trailer. This wheel is rated for 1860-lbs and it features a silver power-coat finish. Please refer to the linked review video. The trailer tire size 215/75R14 that you have can fit on a 5.5 inch wide or 6 inch wide trailer wheel so either width will work fine. So the galvanized wheel part # AM20364 would fit and work well. We have Dexstar wheel # AM20363 that will accept the 205/75-14 Load Range D tire. The wheel is rated for 2,040 lbs at 65 psi just like the tire. It has a 5 on 4-1/2 bolt pattern. Another option is white spoke wheel # AM20352 or white mini mod # AM20365. Or we have aluminum wheel # TTWALS514545B or # AM22329, both rated the same. If you need galvanized for corrosion resistance we have # AM20364. I have linked videos of all of these wheels for you. When it comes to a spare rim for your Sprint 286 FS 18 Ft Boat Trailer which uses 205/70R14 tires, you need one that is 14 inches. I have included a link to all of the 14 inch rims that we offer for the 5 on 4-1/2 bolt pattern. For a wheel, take a look at part # AM20364. I have included a short video for you. The Provider wheel/tire # A21514RTM45SM combines a ST215/75R14 radial trailer tire (in Load Range D) with a modular wheel that has a silver powder coat finish. The powder coating process uses a high temperature oven to cure the paint; it is literally baked on and provides an attractive and durable finish. The same powder coat process is used to apply the white finish on a modular wheel such as # 560655WM1. 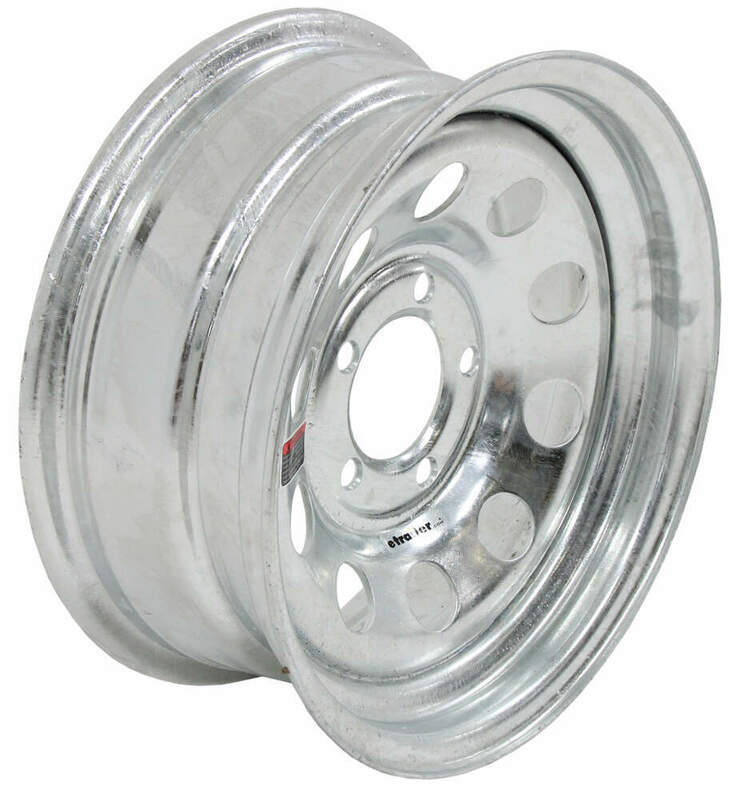 Mod trailer wheels are also offered in a galvanized (zinc) finish, such as # AM20364. Because we lack the equipment to mount tires, your best bet would be to purchase the # AM10235 Kenda Karrier trailer tires and the # AM20364 wheels you referenced separately and have them mounted by your local tire shop. You'll also need the # AM20903 valve stems. Just about any tire shop would do this for you for a small fee. Notes: This coating on this part has a scuffed look to it, manufacturer did not coat well enough in some areas. This part has never been used.